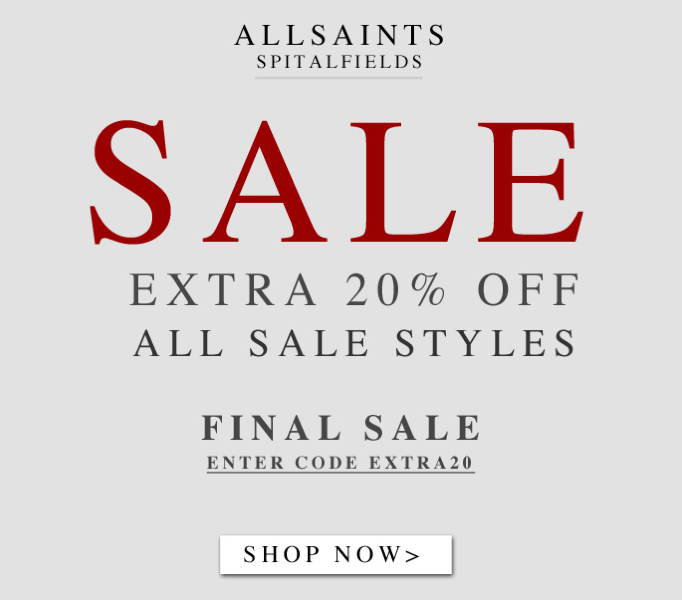 Remember the All Saints sale I mentioned last week and how many awesome things are marked down? Well this amazing sale just got even sweeter. Get an extra 20% off ALL SALE STYLES when you enter code EXTRA20 at checkout!